THE DUTY-FREE at Shannon Airport will be given a major makeover later this year, according to the head of retail at its parent company. Shannon Group’s Darren Smyth said that the retail wing in the County Clare airport will be given a revamp in October for completion by year-end. Smyth made the announcement at a recent Retail Excellence Ireland conference, where he was delivering a presentation on the group’s new souvenir shop brand, Shannon Irish Design Store. The first shop opened at popular tourist attraction Bunratty Castle & Folk Park, which is operated by Shannon Heritage, the largest owner and operator of tourist attractions in the country. Shannon Heritage is one of four semi-state companies that operate under the Shannon Group umbrella. Smyth was given a mandate to modernise Bunratty’s tourist shop, which was “quite grim” before the renovation, he said. “We wanted it to be true to its location. We didn’t want it to be twee or ‘diddly-idle’,” Smyth said. Borrowing artsy layout concepts popularised by the likes of Penneys, Tesco and Marks & Spencer, Smyth turned the store into a “contemporary, 21st-century Irish tourist shop”. He said he was less precious about square footage and instead inserted so-called ‘experiential’ features like a moss wall – a wall at the back of the shop with living moss on it. Smyth claimed that the feature is “the greatest sales tool that I have inside that shop” because customers are encouraged to slow down, take pictures of it and ultimately spend more. “The moss wall sells. I don’t have to pay it a wage or PAYE and it doesn’t call in sick,” he said. Smyth was given three years to make back the €1 million that was invested in the Bunratty store – “a target that will be beaten”, he said. Following the successful launch of the first Shannon Irish Design Store, Smyth said there are plans to roll out the brand to 10 more locations owned by Shannon Heritage. The layout of the shop will also serve as a model for Shannon Airport’s duty-free. 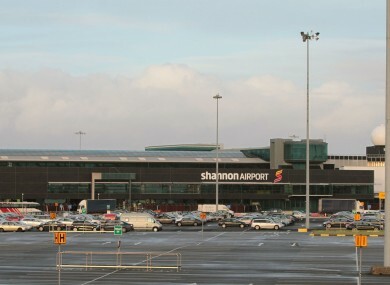 “Shannon Airport has had very little investment for the last 30 or 40 years and there are parts of it like Moscow in 1980,” Smyth said. Although the designs for the new retail wing have yet to be finalised, he promised that “it’s not going to look like a duty-free”. He said the new look will include “some stuff that the finance guys will think is mad”, such as a ‘water wall’ feature that “has got nothing to do with perfumes and cosmetics”, Smyth said. The project has yet to go out to tender, so it is not known yet how much it will cost – but Smyth said it will include “some stuff that the finance guys will think is mad”. Email “Shannon Airport's duty-free is getting a major makeover, complete with 'water wall'”. Feedback on “Shannon Airport's duty-free is getting a major makeover, complete with 'water wall'”.